Using a Zune Pass outside of USA | Eugene! Just to set the tone, I don’t really own a Zune MP3 player but I do own a couple of iPods. Got me an iPod shuffle (2nd gen) and an iPod Mini (either 1st or 2nd) a long time ago and they’re still working. My mini is more than five years old and I just use it as a storage disk because the battery dies after a couple of hours. Five years ago I used the iTunes that came with it and it was a so-so for me. I didn’t really enjoy the UI, quite confusing setting it up and the inability to transfer files from one pc to another made me revert to good old Winamp with it’s useful plugins. Haven’t been using any other music player since then (A collegue laughed when she saw me using Winamp). Apparently I’ve been living under a rock for not trying out other players out there. Come 2009 a friend gave me a Zune Pass and asked me to try it out. That Zune Pass commercial also got me curious. Being the law abiding citizen that I am (*wink* *wink*) it was quite fun being able to have unlimited music for a month and getting to keep 10. I know that iTunes has changed in those five years and I know its UI has definitely changed according to Apple standards but damn…. 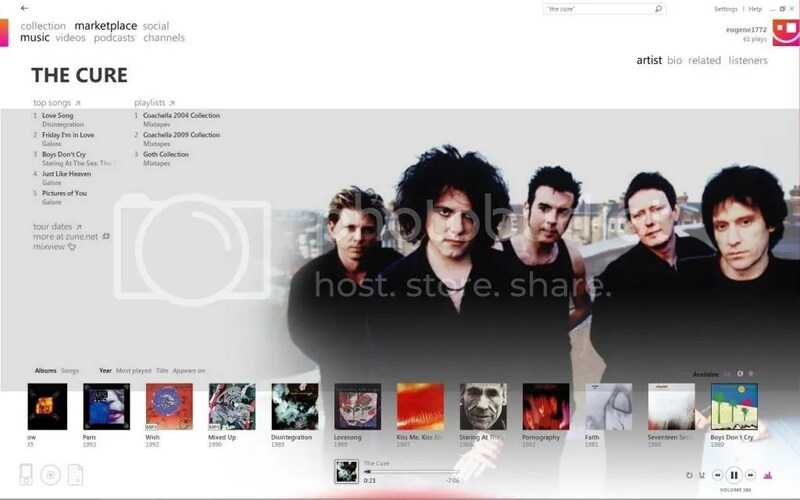 the Zune UI looks great. Ok I got you confused now didn’t I? (or not) There’s Zune MP3 player and then there’s Zune their media player. Minimalist white is the theme of the entire player with a hint of mixart, your album arts made into a mosaic, here and there. I just love the simple UI and how easy it is to figure out where everything is. The best part is when you get yourself a Zune pass, you can search for a multitude of songs and stream or download (with DRM of course) as many times as you want for a whole month. Within that month you can then choose ten songs that you want to keep for yourself. 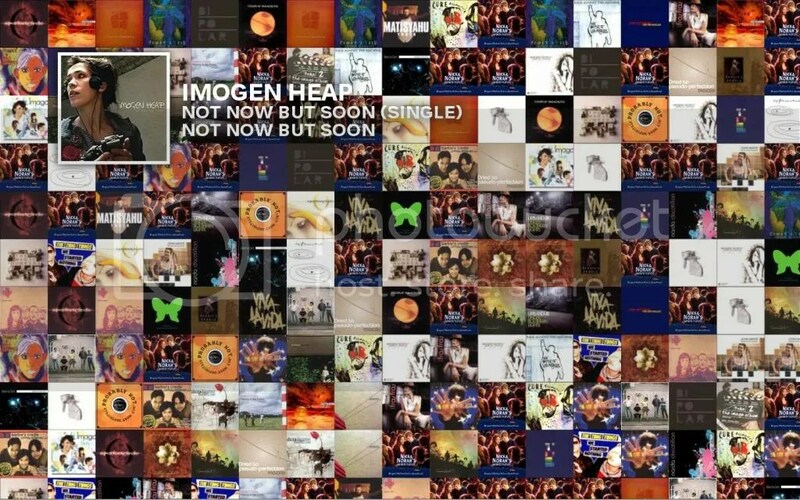 Tried the search function with one of my favorite artists, Imogen Heap. I don’t have a copy of her first album I, Megaphone and I wanted to hear how much she has changed, so a quick search will get you all of her albums plus extra info on her. Surprise, surprise it also give me her singles that’s quite unheard of (for me at least). 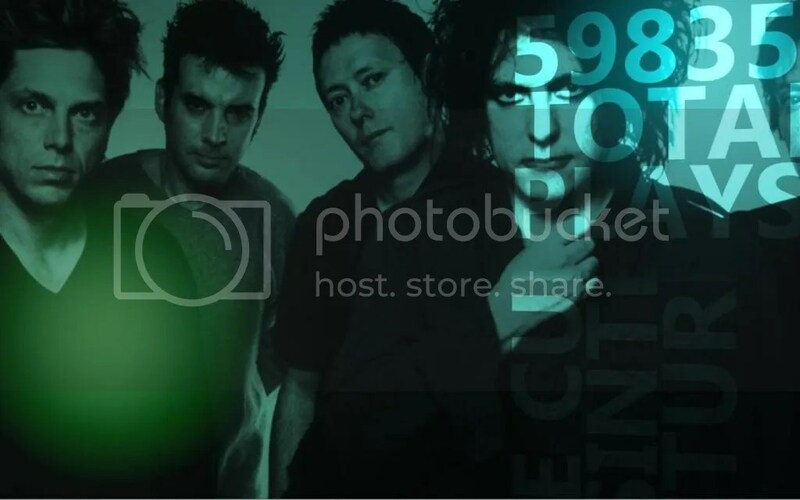 My recent love for the The Cure got me excited. 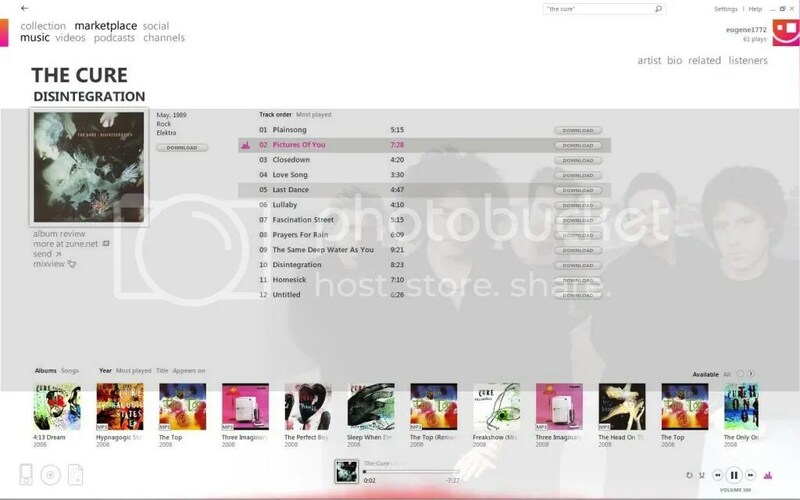 I knew they were old but I never realized that they have so many albums. Unlimited songs here I come! Oh yea! I love Pictures of You! Check out the other pictures below. 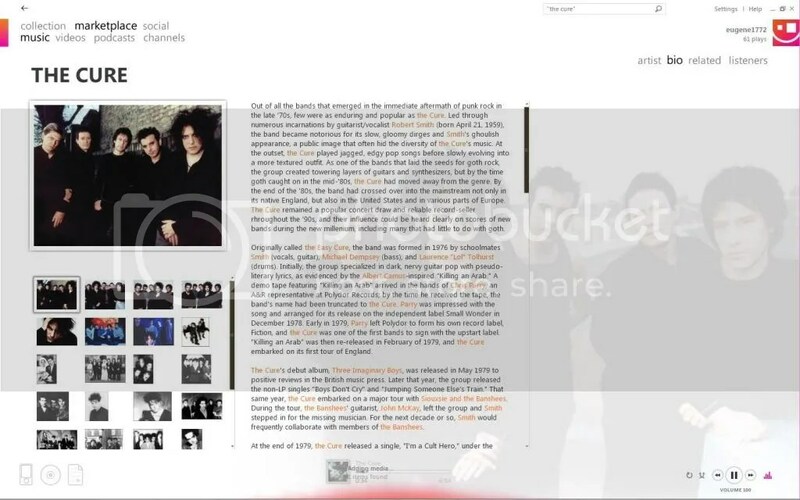 and when you’re playing/sleeping they show you cool pictures of the band and some info. And the best part of it all is the mixart! 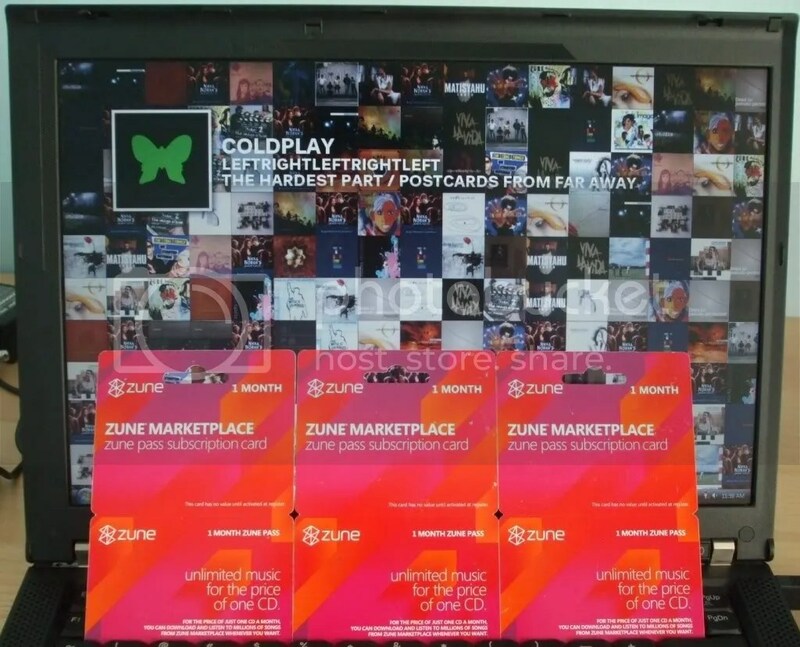 Now the Zune Pass itself is quite difficult to get and my friends say you can only buy it in the states. 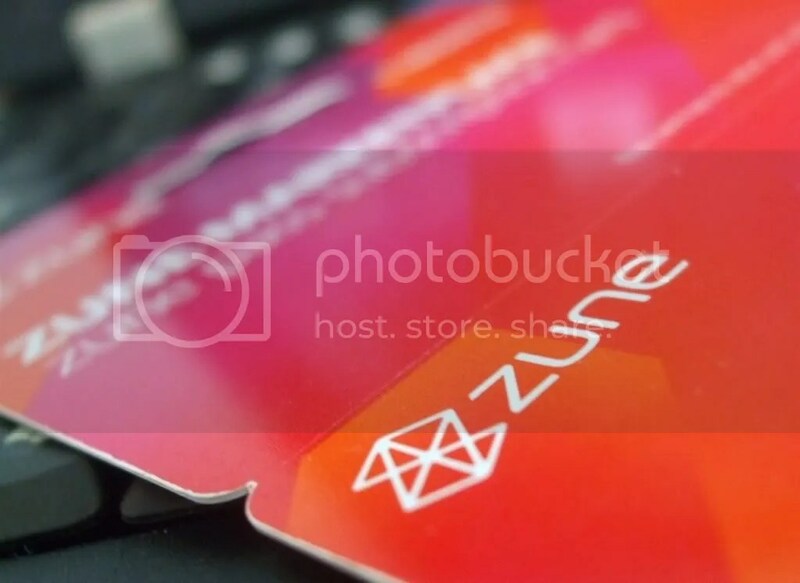 too bad 😦 You can always use your credit card to buy but having the physical Zune pass card is just cool. Now having one card won’t make me blog about it now would I? Thanks to Aimee for giving me a bunch! haha If you get a chance to go to the US or a friend is coming back ask if he or she can buy you one at WalMart or one of those stores. Try it out and don’t be hatin. ping back to yizhe http://cloudfex.com/cs/blogs/cloud/archive/2009/05/17/using-a-zune-pass-outside-of-usa.aspx Apparently it was a double pass as he was the one who went to the states and bought the cards for Aimee. Thanks man! yep, know about it! hahah its greaT! thanks for the passes! I’m going on a trip to the US on late October, and I plan to buy a Zune HD and maybe a couple of Zune Pass cards. Do you have any idea if when I come back to my country the marketplace content will be restricted by IP? Do you have any idea if when I come back to my country the marketplace content will be restricted by IP? Have you had problems with restricted music/videos? thanks man! jeopardy on my head. 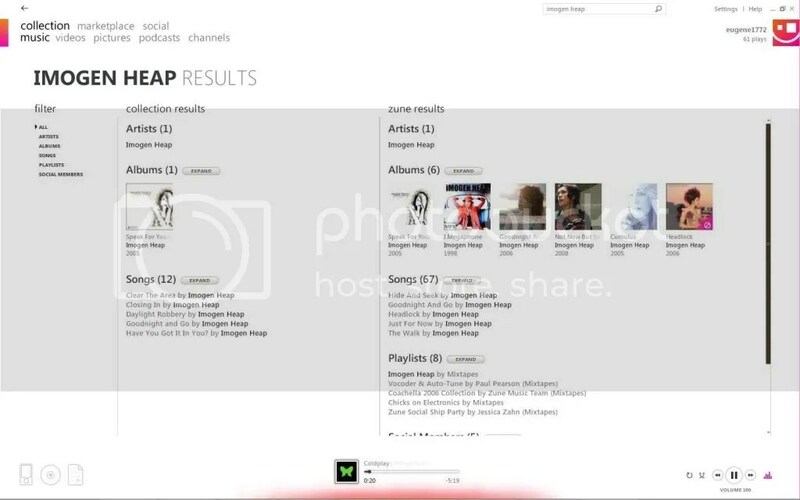 answer: will my music/video on marketplace be restricted based on ip? what is no? Unfortunately I haven’t really tried the video part since I don’t have any Microsoft points around but the Zune pass works perfectly. 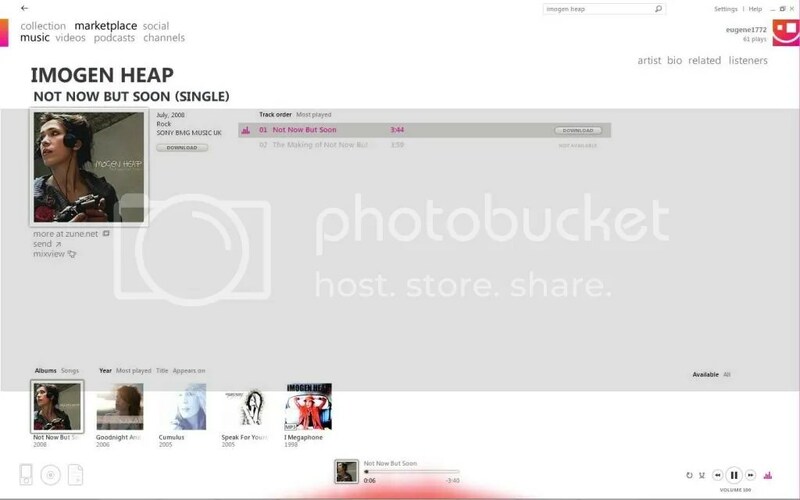 If it’s music on the zune pass, using credits and downloading I’ll be 100% sure but the video part I’m 50/50. Try it out and hit me back once you find out. lucky dog on the Zune HD 🙂 . I’m dying for a Zune as well so that I can maximize the Zune pass. It’s just easier to transfer music back and forth. Note: be sure all your live and zune account details points to US. hey, this was really useful for me! I’m a US high school student looking into a number of study abroad programs, and I was wondering how hard it would be to use my Zune Pass and Zune HD outside of the States. And I guess it would be no problem. No US credit card or address needed!